After the unfortunate interruption to the 2nd days events of the LALExpo events this past July (as we reported here) organizers released this statement. We fully expect to the LALExpo return next year stronger than before. This adult entertainment conference is an important one with widespread support and large attendance numbers that have grown each year. Likewise, the website http://lalexpo.com/ is now back online and their social media presence on Twitter @vivelalexpo and Facebook page is back as well. The temporary downtime was most certainly necessary to evaluate the unforseen regulatory issues given the circumstances. 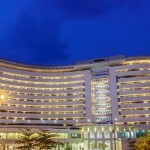 From all reports we got, there was little inconvenience as this past years events moved to offsite locations and all functions carried forward including the LALExpo Awards. 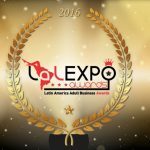 LALExpo is an adult industry conference in Latin America which has a heavy focus on the live cams business. 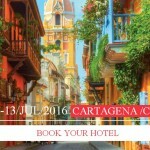 The events are held in Cartagena Colombia. It should also be noted the former mayor of Cartagena Colombia Manuel Vicente Duque who was the person responsible for ordering the shutdown of the LALExpo this past year was most recently arrested and removed from office for alleged influence peddling. LALEXPO is ready to roll, Schedule and Speakers posted.